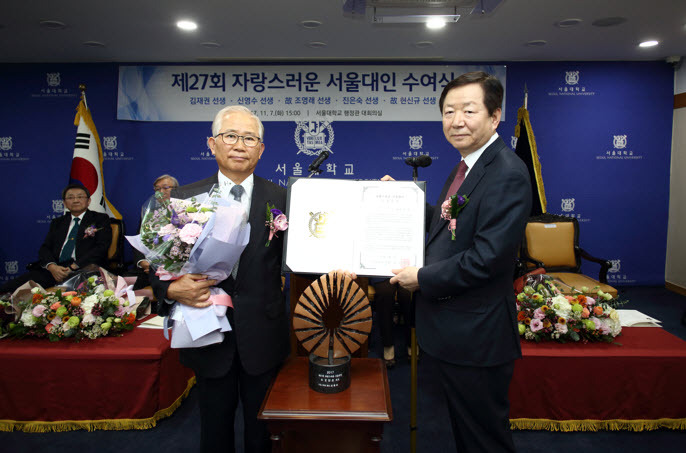 Professor Hyun Jung-oh, the second son of Professor Hyun sin-kyu, received the Distinguished SNU Members award for his father. The late Professor Hyun Sin-kyu (1912-1986) was among this year’s recipients of the Distinguished SNU Members Award, the highest possible honor bestowed upon SNU faculty or alumni who have achieved great distinction. He was selected for this award for his revolutionary contributions to Korean agriculture as he turned the barren mountains of war-torn South Korea in the 1950’s into the lush green landscape that we see today. In a country with an annual monsoon, barren mountains are dangerous, as a lack of vegetation on the mountainside results in frequent landslides and flooding, posing a grave danger to nearby human and animal populations. While Korea has faced flooding problems throughout its history, the environmental destruction and economic devastation post-war made flooding even more difficult to combat. To find a solution to this national issue, Professor Hyun created a hybrid tree named pinus rigitaeda, which he hoped would one day cover the mountains of Korea. Referred to today as the “wonder tree from Korea,” the tree is now ubiquitous in Korea’s mountainous landscape. Professor HYUN Sin-kyu was reported in a local newspaper Mountain Democrat while he was in UC Berkeley in 1951. After becoming a member of the SNU Department of Agricultural Sciences in 1946, Professor Hyun began his quest to create a new hybrid plant. In 1951 he briefly conducted research on forest genetics at the University of California. From the years 1954 to 1962, he was based in Italy where he examined 330 different species of trees in his search to find the ideal tree that would thrive in the Korean climate. After years of research, Professor Hyun finally crossbred the pinus rigaeda and the pinus taeda to create a new breed, the pinus rigitaeda. Professor Hyun found the perfect mix by taking the advantages of both parent types. The pinus rigaeda is able to can grow on barren lands and is resistant to blight but can only be planted on flat ground and does not grow straight. The pinus taeda, while not being able to thrive in cold climates, grows upright and has a fast growth rate. 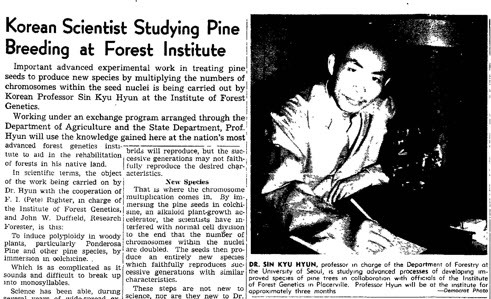 The project to plant pinus rigitaeda widespread in South Korea officially began in 1962 and continued on after the death of the professor in 1986. Since the launch of the project, a total of 290 million of these hybrid trees have been planted all over Korea, making what was once a barren land into the lush country it is today. Professor Hyun’s son was present at the ceremony to receive the award on his father’s behalf. 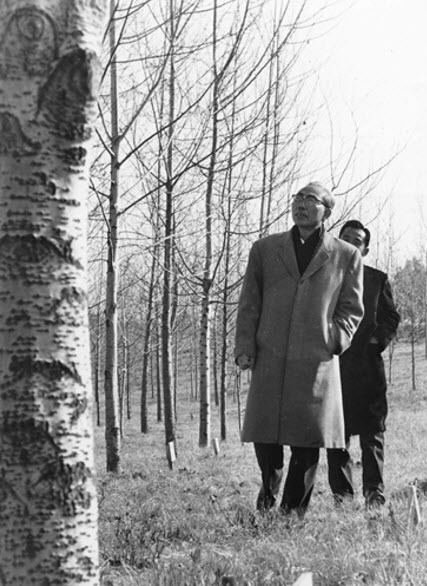 Each year on Arbor Day, an international holiday to encourage the planting of trees, the professor is remembered for his remarkable contributions to Korean forestry.